Scrolling Down 8th Street by Carolyn Stich. Photo by Mike Lozon. 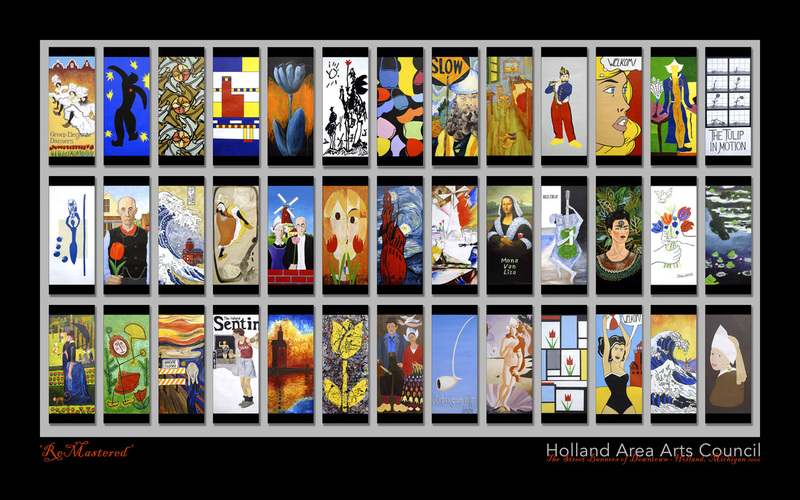 Each of the 60 banners in this series focuses on a detail of Holland – natural, architectural or iconic. The artists used a variety of media; pastel, watercolor, oil, pencil, oil pastel, collage and photography. Viewers will enjoy the challenge of figuring out what the art represents and where the details are located. These banners will appear at the beginning of summer for the next 5 years! Learn More About the Banners! The Zeeland Pumpkinfest is a celebration of community, family and fun fall activities! 2016 marks the 32nd year for Pumpkinfest. The two-day event will feature a number of free and low-cost events, including their partnership with the Holland Area Arts Council that brings a community art centered project known as Avenue Art. You can express your creative talents in Avenue Art -- everyone is welcome! Professional artists, families, church groups, schools and organizations are all welcome. Design your artwork around a 6-foot aluminum structure (provided by Pumpkinfest, use your $50 stipend and create something original that captures the theme. Watch for more information on Pumpkinfest 2017! Part of the Holland Area Arts Council’s role in the community is to oversee public art projects. These initiatives give artists an opportunity to display their talents and creativity while drawing the public into a lively and robust conversation about the arts. 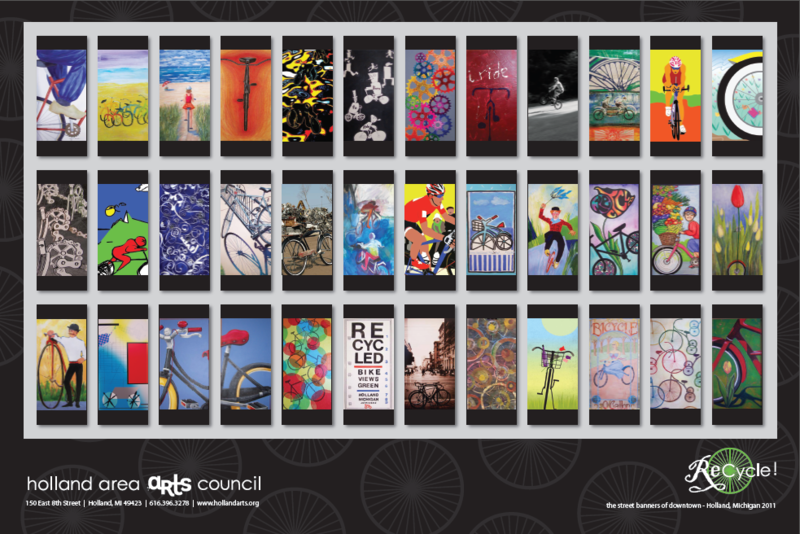 Purchase a ReCycled Banner Poster for $10 at the Arts Council. 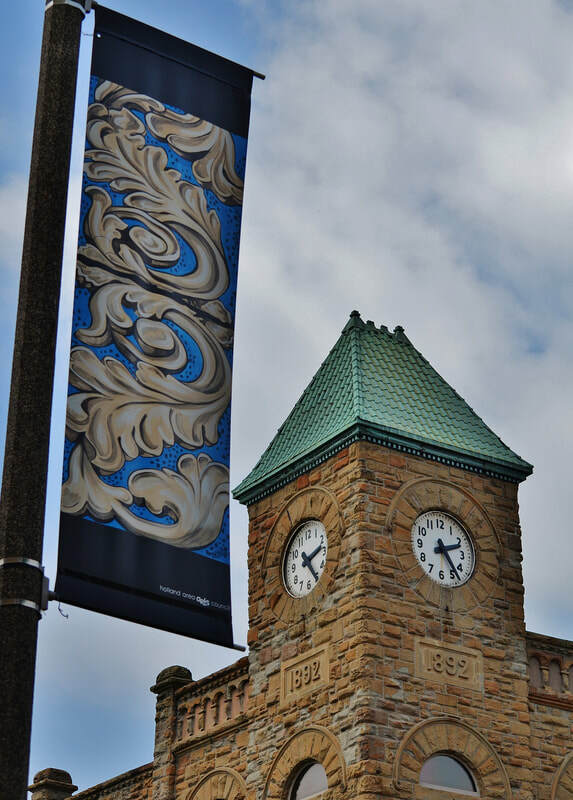 Purchase a ReMastered Banner Poster for $10 at the Arts Council.